Here are fun things to do in San Diego in 2018 that are spectacular for all types of travelers including families. Numerous options exist for you that range from watching whales to visiting the Temecula wine country to a stroll through the gardens of Balboa Park. 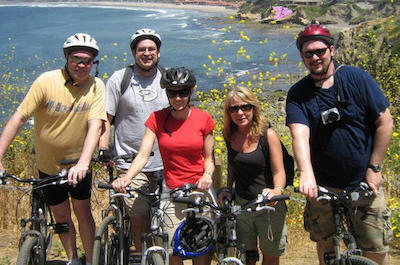 You can decide to ride a Segway, a bike or in a comfortable coach as you follow the majestic La Jolla coastline. Other excursions will have flying in a bi-plane, soaring in a jet fighter or perhaps you want more adrenaline and want to go hang gliding. 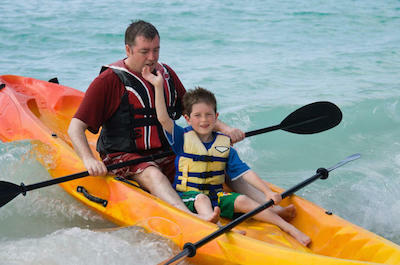 There are plenty of watersport activities that range from sailing to snorkeling to kayaking in the La Jolla Sea Caves. Another must see place is the Gaslamp Quarter for shopping as well as dining and Old Town State Historic Park is a superb way to learn about the early Spanish history of San Diego. When you are looking for one of the more popular things to do in San Diego then you should think about a cruise and boat tour. There are a wide range of these excursions that are perfect for romantic couples, families and groups of friends. You can decide on a speed boat adventure, a Sunday brunch cruise in the San Diego Bay and you can have lunch with a special beer tasting. 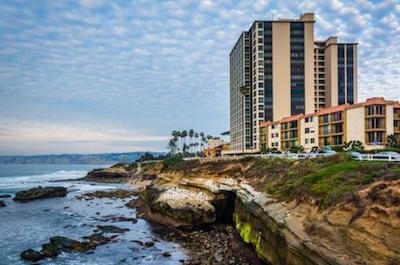 Travelers will enjoy the panoramic views of the Pacific Ocean and the unobstructed views of the built environment of downtown or the natural scenery along the La Jolla coastline. Couples will enjoy a romantic sail into the sunset pared with a remarkable dinner. 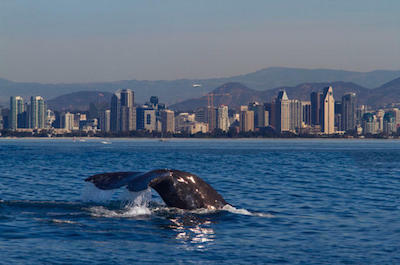 Added bonuses on some excursions include admission to the Maritime Museum of San Diego or a guide from the Birch Aquarium. When you want to view incredible marine life swimming in their natural habitat then the only things to do in San Diego is to take a whale watching tour. You will be amazed at the grace of the California Grey Whale as they swim some 6,200-miles south for the winter from the Bering Sea to the warm waters off the coastline of the Pacific Ocean along Baja California. These excursions are perfect for families, photographers and people who want to witness nature at its finest moment. Most tours take place on a comfortable boat such as American Schooner, a double decked yacht, a Catalina-style sailboat and if you are really adventurous you can go kayaking. Added bonuses on these excursions include a fantastic vantage point of the landscape from the water and some tours include admission to the Maritime Museum of San Diego. When you are ready to view some of the most interesting marine animals on the planet as well as tour the sites of San Diego then the best things to do in San Diego is to try a seal tour. 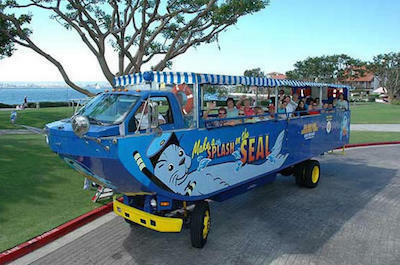 You will be thrilled riding in a special amphibious vehicle that allows for you to first visit interesting sites such as the Seaport Village, Harbor Drive and the Maritime Museum of San Diego while you travel on land. Once you enter the water at Shelter Island you will witness hundreds of seals and sea lions as you cruise by sites such as Point Loma, Cabrillo National Monument, the Scripps Institution of Oceanography and the Naval Air Station North Island. Your family will be excited to watch the seals play in their natural habit while you learn more about the history of San Diego from your tour guide. When you want to learn more about the culture that makes the surrounding so interesting then the perfect things to do in San Diego is to go on a cultural tour. 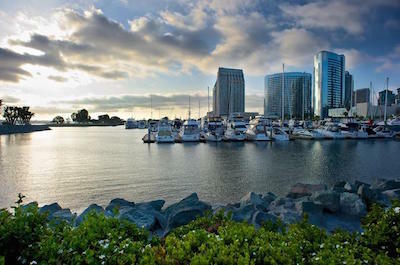 San Diego has a wonderful culture to understand and there are a number of unique excursions such as a trip through the Gaslamp Quarter where brothels once ruled or you can try a taco in Old Town or visit the historic 1798 Mission San Luis Rey Museum to understand the Spanish culture. 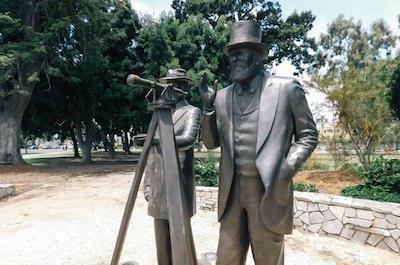 Balboa Park is packed with superb museums like the San Diego Model Railroad Museum as well as beautiful landscaped gardens such as Zoro Gardens and Alcazar. To help you decipher the military culture of the area then a trip to the U.S.S. Midway Museum is an excellent idea. When you only have a half-day to explore the city and surrounding area then a superb things to do in San Diego is to try a San Diego sightseeing tour. There are a plethora of unique sites to see and visit in San Diego with the many museums in Balboa Park, the Sand Diego Zoo and the San Diego Bay or you can even venture to Tijuana for half of a day of fun. 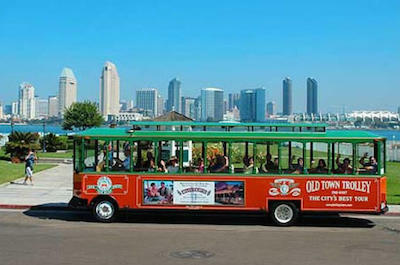 Options are numerous with excursions that will take you to Old Town, Gaslamp Quarters, Little Italy and Coronado Island. You can visit the beautiful beaches around La Jolla as well as enjoy a panoramic view from the top of Mt. Soledad. No matter what the size of your family or group there are plenty of ways to travel such as by coach and in a customized van. When you want to get out and enjoy the countryside or even explore Mexico then an ideal things to do in San Diego is to take a day trip from San Diego. You will be thrilled at the scenery you will view at places such as Font’s Point and spend time in Anza Borrego State Park. Other fascinating day trips will take you along the Baja California coastline to Ensenada as well as the Baja Mexico wine country within Valle de Guadalupe or you can explore the streets and marketplaces of Tijuana. If you want to stay closer to the city then you can even customize your own day trip that fits into your family’s plan of adventure. There is a variety of transportation modes from coaches to vans to private limousines that will help make your day memorable. If you are a first time visitor that wants to get the lay of the land and see as many different places as possible in one day then the best things to do in San Diego is to try a trolley tour. These excursions are fantastic with over ten stops at superb attractions like the San Diego Zoo, Little Italy, Gaslamp Quarter and there is a stop at the cruise ship terminal. You can decide where you hop-on/hop-off throughout the day as you spend time in Old Town State Historic Park, the U.S.S. Midway Museum, Balboa Park, Seaport Village and there are convenient hotel stops. This is a great way to get accustomed to where you want to spend more time while you visiting this special city and families truly enjoy the flexibility. When you are searching for something that is a fun activity outdoors for the whole family then a superb things to do in San Diego is to go on a kayak tour. You will be amazed at the incredible scenery and marine life you will see as you paddle along on the Pacific Ocean. There are excursions that will take you to the La Jolla Ecological Reserve where you can view the spectacular cliffs, various coves and even a few sea caves. Other tours will have you paddling to watch magnificent animals like whales, dolphins and sea lions in their natural habitat. There is even an excursion that includes snorkeling or standup paddleboarding and if you just want to paddle on your own then there is a package for daily rentals. When you want a unique experience in the Pacific Ocean that involves viewing marine life and spectacular coastal formations then the perfect things to do in San Diego is to take a snorkeling tour. You will enjoy the warm water of the Pacific Ocean as you venture to such places as the La Jolla Sea Caves where you will view incredible rock formations, sea lions, stingrays and plenty of different fish. Other excursions will raise your adrenaline levels as you snorkel with incredible leopard sharks that are 3 to 7-feet in length. An added bonus is some tours include sea kayaking to your snorkeling destination which adds more value to your excursion. Even if you forgot your equipment at home there is a package that will have you snorkeling off the coastline in no time at all. When you want to get out on the water and experience some adrenaline rushes then the best things to do in San Diego is to take a speed boat tour. 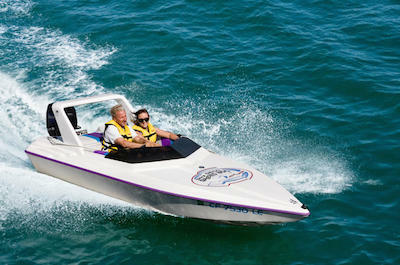 You will be thrilled as your adrenaline rise as you glide across the water at high speeds. There are several excursions that are a great way to have fun and gather a different vantage point of the stellar shoreline. 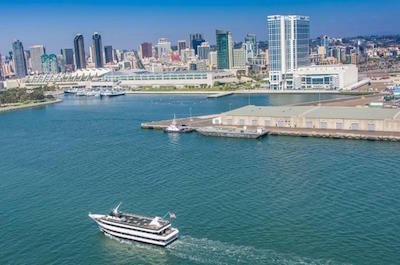 Options include a guided speed boat tour where you will navigate your own speed boat at high speeds or you can sit back and enjoy a speed boat while taking in more of the sites along San Diego Bay. You can even decide to speed across the waters of Mission Bay while you view SeaWorld on a high powered jet ski. When you want to experience the culture and history of an area by exploring neighborhood cuisine then the perfect things to do in San Diego is to try a food tour. 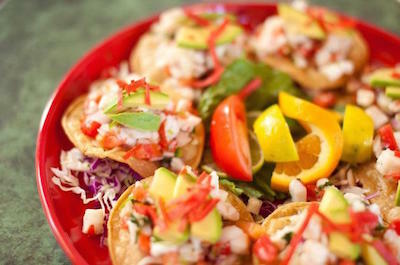 You have a variety of selections that will take you to places like La Jolla where you can indulge in Hawaiian delights and in Old Town you will devour Mexican dishes as well as sip tequila. In the Gaslamp Quarter you will try cutting edge culinary delicacies and Little Italy prepares mouthwatering pastas. Other excursions exist on Coronado Island where you will view the Hotel Del Coronado and in the trendy North Park neighborhood where you will try craft burgers with craft beer. When you are walking from eatery to eatery you will be surprised at the interesting tidbits of information you learn and the food makes for an excellent day. When you need to get outdoors and into nature for a while then the best things to do in San Diego is to go on an outdoor activities tour. You will be thrilled with the choices of activities you have that are perfect for couples, families and friends. You can paddle a kayak to the La Jolla Sea Caves, catch your dream fish while deep sea fishing in the Pacific Ocean and even bike down Mt. Soledad as well as the La Jolla coastline. Other exciting options include viewing marine life such as dolphins and whales or you can go Top Gun and learn combat techniques from a skilled jet fighter pilot. Whether you want to stroll through Balboa Park or go hang gliding there is a perfect outdoor activity for you and your family. 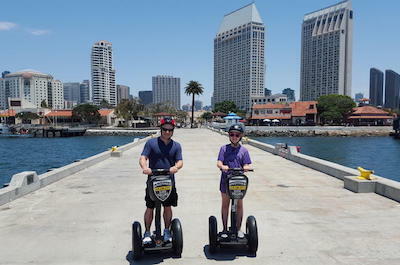 When you want to take in all the interesting history and scenic beauty of the area in a leisurely fashion then a superb things to do in San Diego is to take a Segway tour. You will be surprised how fun driving a Segway can be and these excursions are perfect for skill levels of Segway riders from novice to expert. There are a wide range of interesting places you can glide on your Segway such as Coronado Island, Little Italy and the Gaslamp Quarter. If you are looking for a natural environment then try La Jolla where you will cruise by several beaches or Balboa Park with its lovely manicured gardens. While taking one of these excursions you will learn interesting fact about the history and culture of the area from an expert guide. When you want to mix some exercise with sightseeing then the perfect things to do in San Diego is to go on a biking tour. These excursions are great for families and all types of skilled bike riders who want to view the incredible sites that reside in San Diego. You have numerous excursion options that range from a leisurely ride through the Gaslamp Quarter or Balboa Park to a more strenuous ride along the La Jolla coastline from Mt. Soledad. If you want to be your own tour guide then you can rent a bike for the day and plan your own route. You will also like the choices in bicycles that range from electric to mountain bikes. Whether you are a novice or skilled bike rider there is an excursion that is ideal for you. 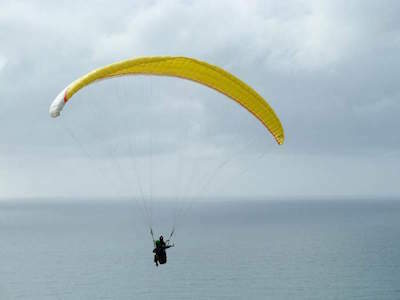 If you are an adventurous person that likes new challenges mixed with adrenaline then one of the more fascinating things to do in San Diego is to take a trip to Torrey Pines Gliderport. 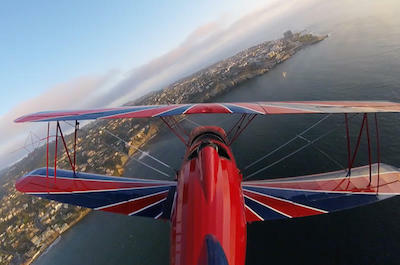 Once you are at Torrey Pines Gliderport you will be pleased to find out about the 100 years of flying history at Southern California’s most premier aviation location for sailplanes, hang gliding, paragliding and remote control models. You have a wide range of flying options that will have you soaring over some of nature’s best landscape. The Torrey Pines Gliderport offers a wide variety of services from tandem flights, flight lessons, equipment sales, repair services and certifications at this world class flying site. Whether you are a novice just looking to get up in the sky or an expert who wishes to hone their skills there is something to fly for everyone at Torrey Pines Gliderport. If you like to include a bit of adrenaline while you are viewing some of the most incredible scenery then the ideal things to do in San Diego is to take a helicopter tour. Your heart will be racing as you lift-off into the sky on these exciting excursions that will allow you to have a bird’s eye view of spectacular scenery like the La Jolla cliffs, Coronado Bridge, the Pacific Ocean and the beautiful beaches of the area. You can decide to travel along the coastline to the Mexican border or around downtown San Diego and the bay area where you will view the incredible built environment below as well as a splendid view of the Balboa Park. 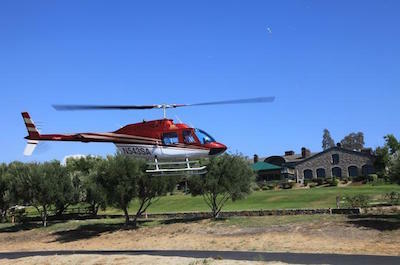 Another exquisite option is to take a helicopter ride through the Temecula wine country where you will indulge in lunch and sample numerous wines. 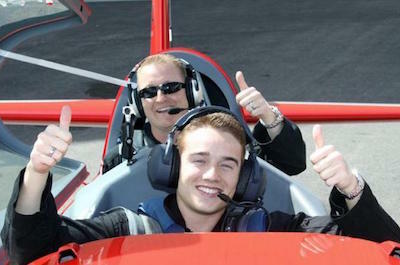 When you want to have a different perspective of the beautiful landscape of area while combining a little bit of adrenaline into the mix then the perfect things to do in San Diego is to try an air tour. These excursions are great for people who like to have a bird’s eye view of the lovely beaches, countryside and urban environment that surrounds the San Diego area. You have several options of flying machines such as an old fashioned combat bi-plane to a comfortable 5 passenger Cessna airplane. Another exciting and adrenaline filled option is to try the Top Gun air combat tour where you will learn the basics of being a fighter pilot while experiencing a tremendous amount of G-forces. All excursions include a licensed pilot who also double as your expert guide explaining interesting facts about the sites on the ground. When you are ready to hit the nightly party scene then the best things to do in San Diego is to take a club crawl tour. You will be thrilled with the entertainment that these excursions provide as you travel to some of the hottest nightlife venues in downtown San Diego such as the Fluxx, Onyx, the Whiskey Girl and F6ix. Your excursion will be perfect as you travel the streets of the high energy Gaslamp Quarter from nightclub to nightclub while you meet new friends along the way as well as learning interesting details of the San Diego from your expert party guide. Added bonuses are the many 2 for 1 drink specials at each location as well as VIP skip the line entry to all venues and some tours include a pre-party appetizer to get you going. One of the more popular things to do in San Diego is to take a fascinating wine tasting tour. These excursions are ideal for everyone who likes a glass of wine or wishes to further their knowledge of wine. You will be pleased with the variety of tasting opportunities from places like Temecula wine country where over 35 wineries exist to the Valle de Guadalupe just north of Ensenada on the Baja Peninsula and even wines from around the world. There are numerous ways to travel on your tour from taking a comfortable coach to walking to a thrilling helicopter ride to a party limousine. 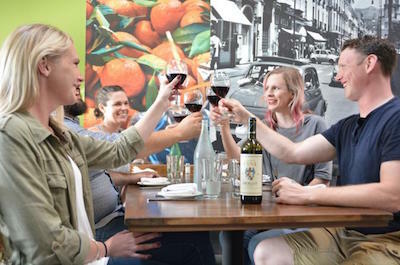 You will be excited with a tour of Little Italy or you can try an excursion with a qualified sommelier that includes a four-course dinner. Most tours include at least three samplings and a light snack or lunch to help cleanse your palate. If you have ever wanted to learn how to carve the waves then the best things to do in San Diego in 2018 is to take a surfing lesson. 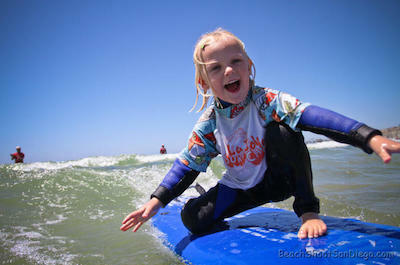 These lessons are ideal for all age groups including children who are interested in learning how to surf. These high adrenaline water sport excursions are the perfect way to learn the basics such as surfing etiquette, paddling, ocean safety, the skill of popping up and carving the waves. You will be thrilled with the expert instructors who take pride in teaching new techniques to surfers of all skill levels from novice to expert. There are added bonuses while surfing such as viewing the marine such as dolphins, whales and sea lions as well as viewing La Jolla beach which is one of the most beautiful beaches in Southern California.